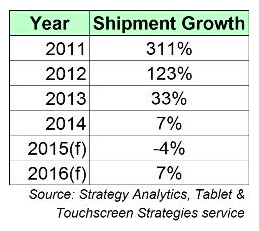 “We are optimistic about the tablet market returning to growth in 2016,” says Eric Smith, Research Analyst, Strategy Analytics. In forecasting the future of the device, Smith believes 2015 has seen a year of tablet retrenchment as major vendors continue to refocus their strategies to sell the next billion tablets. “Meanwhile, there are pockets of growth throughout the market when we segment by screen size, form factor, customer type, and connectivity, particularly by smaller vendors like LG, Huawei, and Alcatel OneTouch,” Smith says. For Smith, “phenomenal historic growth” has come to an end and a mature tablet market is forcing vendors to reconsider strategies and retool portfolios as new opportunities arise, such as the coming upgrade cycle, new form factors, device innovation, the release of Windows 10, enterprise adoption, and better cellular connectivity options. “Fast growth in the early years means that hundreds of millions of tablets will rapidly need upgrades due to old age in the next one to four years,” Smith says. Furthermore, Smith believes new tablet sales opportunities outside of the consumer market are being boosted by the work being done and partnerships being forged by vendors such as Apple, Samsung, Microsoft, and HP, focused on the needs of the enterprise. “We were at the Microsoft event in early October where the new Surface Pro 4 and Surface Book were unveiled - examples of slate tablets and 2-in-1 tablets which can compete for PC spend in the enterprise, or at least be credible mobility solutions,” he adds. Yes, believes Smith, tablets have proven to be resilient devices, more so than the lifecycle of smartphones. And yes, in the last two years, Smith believes consumers have not been given much reason to upgrade from their first tablets to shinier, thinner, and faster versions. 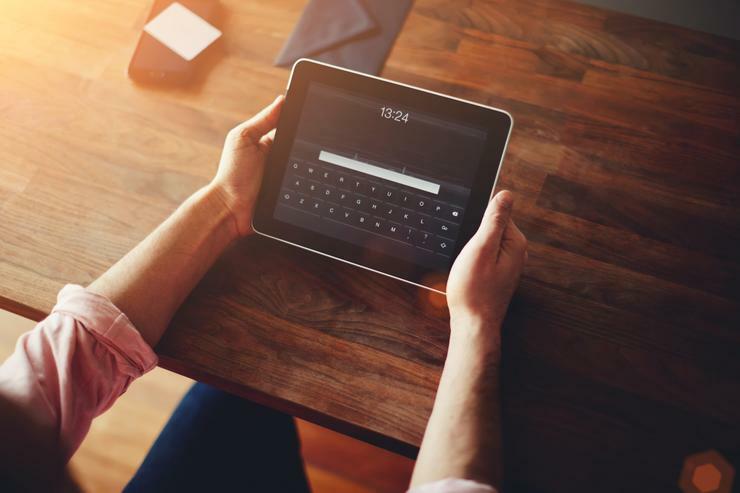 “While we believe that more innovation from tablet vendors is necessary and certainly on its way, older tablets will begin failing to meet the needs of the average tablet user,” he adds. Not only must tablet vendors seize opportunities which will spur tablet demand, but for Smith, potential partners (e.g., operators, retailers and channel partners, software and services providers, and component manufacturers) stand to gain by recognising these trends and enabling better tablet uptake through the use of their products. “Momentum to make the tablet a productivity device has been building in 2015, but so too are there ways to make the tablet an even better entertainment device,” he adds.